Sophomore running back B.J. Watson attempts to stiff-arm Columbia's kicker during a kick return in the game last weekend. Yesterday was a good day for me. No, not because my political candidates won in the midterm elections, but mostly because I got to sit back and watch how bad the “experts” are at predicting things. Makes my 11-7 record here look pretty good, huh? Anyway, the News staff here keeps telling me if I want people to read my columns, I need to talk about things people care about (like politics), as I’ve been told Harvard students don’t care about sports. I wasn’t so sure until a girl in my section asked me if the Texas Rangers still rode horses and shot people. I, of course, replied in the affirmative. But in order to draw in these marginalized readers, I’m increasing my vocabulary to include some buzz words. This week, there’s a potential blue wave in Columbia, a solid chance Princeton trumps Yale, and we’ll get to see if Cornell can protect its house. In his college days at Columbia, Texas senatorial candidate Beto O’Rourke served as the captain of the men’s heavyweight crew team. This week wasn’t his best, which doesn’t bode well for Columbia’s blue wave. 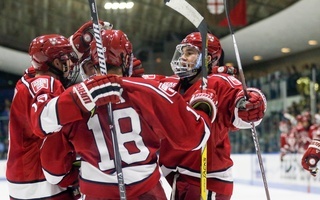 With regard to Brown, Harvard made the quick trek down to Providence to challenge the Bears in the second week of the season. Of course, the Crimson trashed, 31-17, its opponent in the “rivalry” game. After the final whistle, in a press conference speech worthy of a Ridley Scott film, Brown junior tri-captain Michael Hoecht made a bold assertion. He’s probably right. Also, if you take out the first three quarters from last week’s Bears match with Yale and divide the Bulldog’s fourth quarter score in half, Brown wins that game, 100 percent of the time. That makes this week’s game the contest of the eternally condemned. In the battle of the league’s worst, I’ll stick to my guns — I am from Texas after all. Speaking of condemnation and Hell, Dartmouth is travelling to Ithaca, N.Y., this week — a road game to make even the formidably Big Green defense tremble in fear. The last person that was documented actually wanting to travel to Ithaca was Odysseus, and that’s a myth. Is it because the Big Red is good at home? Not particularly — just don’t talk to any Harvard players. It’s because there’s only one respectable establishment within 100 miles of Ithaca, N.Y., and it isn’t Cornell — it’s Collegetown Bagels. So far this season, the Big Red’s biggest win has come against the Crimson. 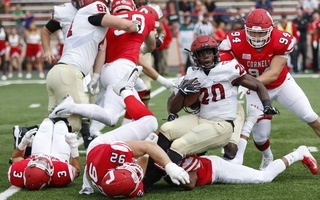 In addition to a win against Brown, Cornell doesn’t have much to show for the season. Dartmouth, on the other hand, has one of the top five defenses in the nation. On Saturday, the Big Green held the dynamic Princeton offense — which averaged 50.7 points per game prior to the afternoon contest — to 14 points. Regardless, Dartmouth football can’t even boast the best defense in Hanover. That title belongs to the college’s legal team, which just won an appeal to the the New Hampshire Supreme Court allowing the school to build a new indoor practice facility. Tuesday’s courtroom win is undoubtedly prophetic. I know the question that’s been nagging you since week five: who is now-starting quarterback Tom Stewart? Prior to his start in the week five Holy Cross game, Stewart had only taken first snaps in one game for Harvard — the 2016 Holy Cross loss. 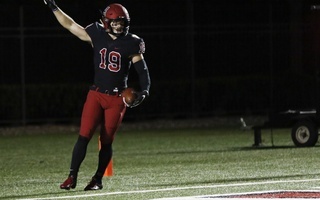 In 2018, the senior shepherded the Crimson to victory and, including that match, he has tossed for 1275 yards and 11 touchdowns this season with only four full games. In the beginning of the season, our photographer was quite fond of the phrase “Free Tom Stewart.” If the contest against Columbia is any indication, he has indeed been freed. 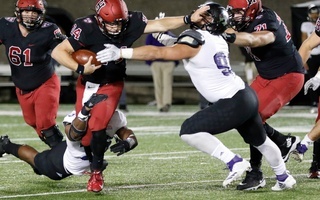 The senior has seemingly always been around, having spelled Joe Viviano in 2016 and being lightly featured in the conversation surrounding last year’s quarterback controversy. It seems Stewart is reaching his final form. With an Ivy League crown out of the picture, a week prior to the Yale contest is the perfect time to peak. 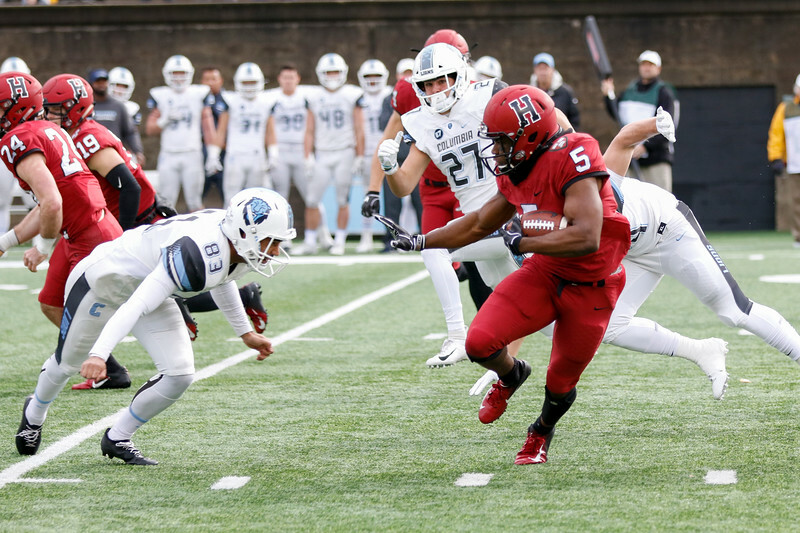 One opponent stands between Harvard and The Game, and that’s Penn. 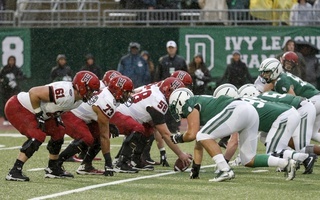 There’s this weird thing, where Ivy League schools do crazy things between the third and fourth quarter. Yale strips, and Penn throws toast. Perhaps it’s emblematic of the team’s prospects this weekend (i.e. they’re toast). I was wrong. The Tigers bested Cornell by 66. In the words of Kanye West, Princeton is nice at football. And now, barring a cataclysmic event along the eastern seaboard, the Tigers will be the Ivy League champs. There is a silver lining. Yale’s going to be entering The Game on the heels of the worst trashing of its season.